What do space travel, rodents and a bone-building protein all have in common? A team of UCLA scientists is bringing these three elements together to test an experimental drug that could one day result in a treatment for osteoporosis, which affects more than 200 million people worldwide. 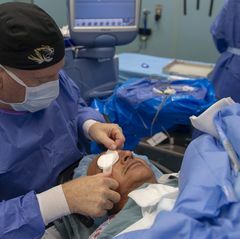 The drug could also potentially help those with bone damage or loss, a condition that afflicts people with traumatic bone injury, such as injured military service members, as well as astronauts who lose bone density while in space. 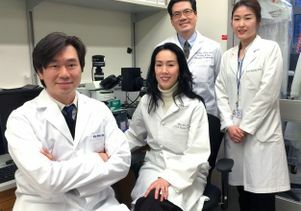 Led by Dr. Chia Soo and Dr. Kang Ting, who met and married while working on this project, as well as Dr. Ben Wu, the UCLA research team is scheduled to send 40 rodents to the International Space Station this week. 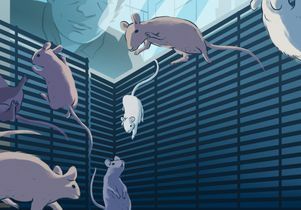 Once there, the rodents will receive injections of the experimental drug, which is based on a bone-building protein called NELL-1. The project is being done in collaboration with NASA and the Center for the Advancement of Science in Space, which manages the U.S. National Laboratory on the space station. The UCLA researchers have been conducting studies on NELL-1 for more than 18 years and were excited when Julie Robinson, NASA's chief scientist for the International Space Station Program, visited UCLA in early 2014 and encouraged them to submit a grant that would fund their NELL-1 research in space. 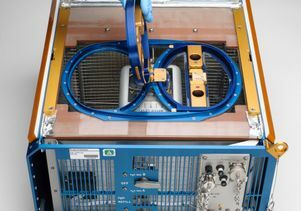 The team received the necessary funding from the Center for the Advancement of Science in Space in September 2014 to move forward with the project. SpaceX’s Dragon spacecraft is currently targeted to blast off from Kennedy Space Center in Florida on Saturday, June 3. 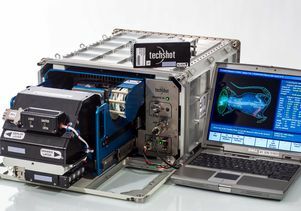 It will be the first time that UCLA scientists send rodents to the International Space Station. After living in microgravity and receiving NELL-1 injections for about four weeks, half of the rodents will return from space and land in the Pacific Ocean off the coast of Baja, California. This marks the first time that American researchers will bring back live rodents from the International Space Station. After retrieval, the rodents will be returned to UCLA where they will continue to receive the NELL-1 drug for an additional four weeks. 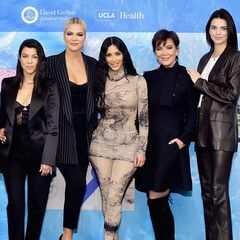 The remaining half of the rodents that stay in the space station will also receive an additional four-week dosage of the drug and will return to UCLA later. Discovered in 1996 by Ting, NELL-1 has a powerful effect on tissue-specific stem cells that create bone-building cells called osteoblasts. When exposed to NELL-1, the stem cells create osteoblasts that are much more effective at building bone. Furthermore, NELL-1 reduces the function of osteoclasts, which are the cells that break down bone. “Our preclinical studies show that NELL-1’s dual effect on both osteoblasts and osteoclasts significantly increases bone density,” said Ting, chair of the section of orthodontics and the division of growth and development in the UCLA School of Dentistry. After the age of 50, humans typically lose about 0.5 percent of their bone mass each year. But in space, bone loss significantly increases due to the lack of gravity. It is commonly known that bone density is improved by physical activity that puts pressure on bone, which helps it stay strong. Without gravity’s pressure, astronauts can lose around 1.5 percent of their bone mass each month. Therefore, space is an ideal testing environment for NELL-1’s effect on bone density. A bone densitometer will accompany the mice to the space station. It measures the bone density of the animals. Research on NELL-1 is supported by past or current grants from the National Institute of Dental and Craniofacial Research, the National Institute of Arthritis and Musculoskeletal and Skin Diseases, the California Institute for Regenerative Medicine, the UCLA Broad Stem Cell Research Center, the UCLA School of Dentistry, the UCLA Department of Orthopaedic Surgery and the UCLA Orthopaedic Hospital Research Center. The experimental NELL-1 drug described above is used in preclinical tests only and has not been tested in humans or approved by the Food and Drug Administration as safe and effective for use in humans. Wu, Ting and Soo are inventors on multiple NELL-1-related patents and principal founders of Bone Biologics Corp., which is a licensee of NELL-1 patents from the UC Regents. The UC Regents also hold equity in the company. 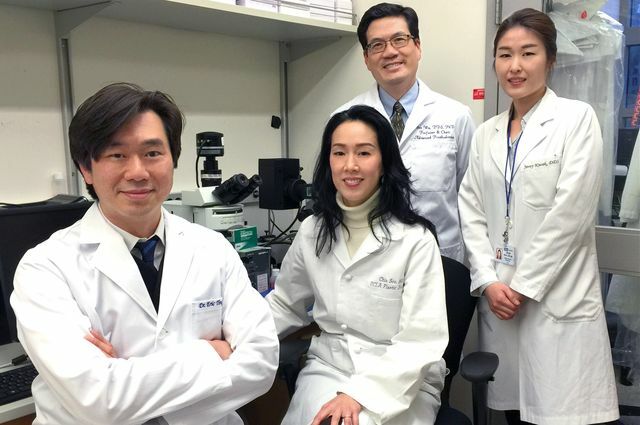 The UCLA NELL-1 research team, left to right: Kang Ting, Chia Soo, Ben Wu and Jin Hee Kwak. Rodent habitat designed by NASA to house 10 mice. Illustration of mice adapting to their space habitat on board the International Space Station.